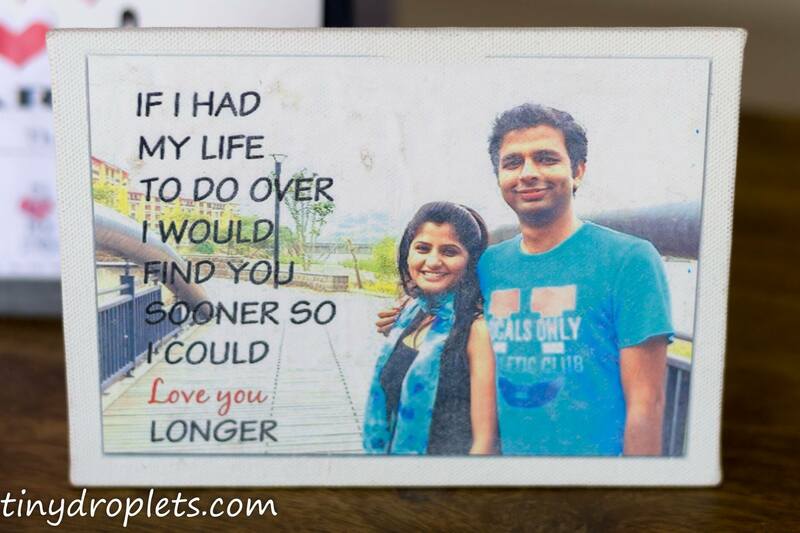 Photo transfer to canvas – this is a project which I love to do again and again. For completion of a project like this it requires one of my favorite Mod Podge products, the photo transfer medium! If you haven’t tried it, it’s kind of amazing. Photo transfers are a neat and pretty cheap way to get your favorite pics on the some of the coolest material around—wood,canvas,fabric etc..
Its a beautiful way to make a gift for near and dear ones. 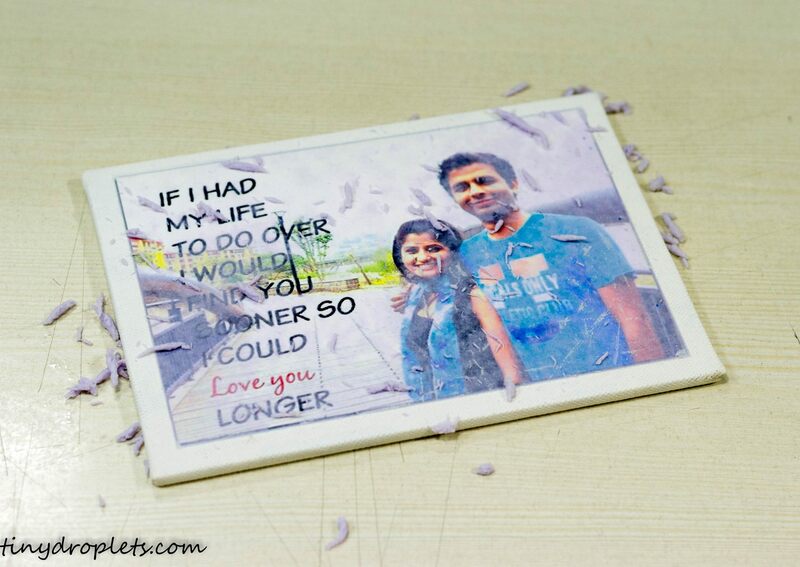 Its always debated…whats the use of photo transfer medium over decoupage. answer to this comes only when you try it once yourself. Photo transfers gives an adorable vintage look to the photo prints. 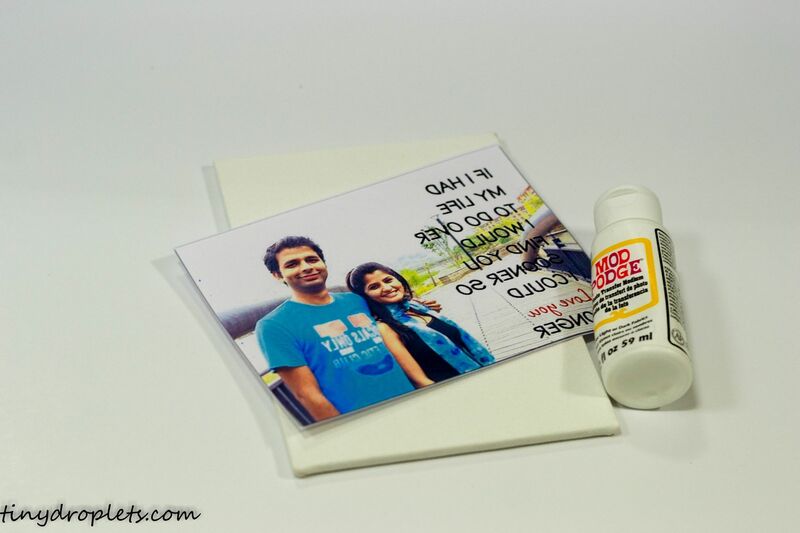 Mod Podge photo transfer medium gives your image a fresh look. 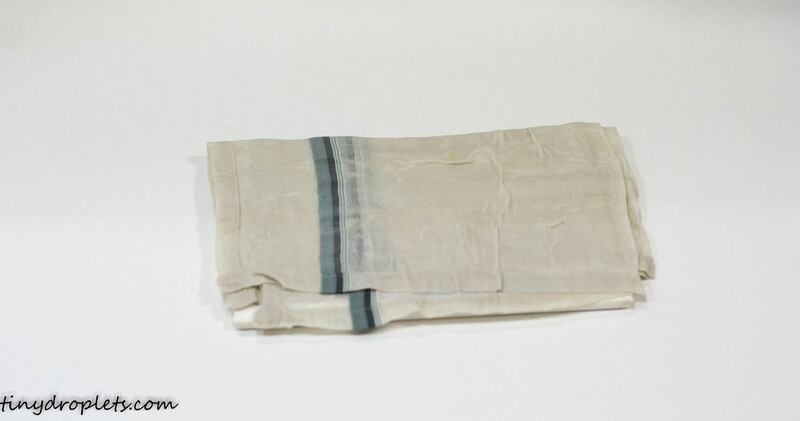 I love the vintage,cool faded feel, and you also don’t have to worry about creases.Canvas isn’t the easiest surface to Mod Podge a sheet of paper to, one need to be cautious. If you’ve been holding off on trying the photo transfer medium, give it a go – it’s pretty fun. 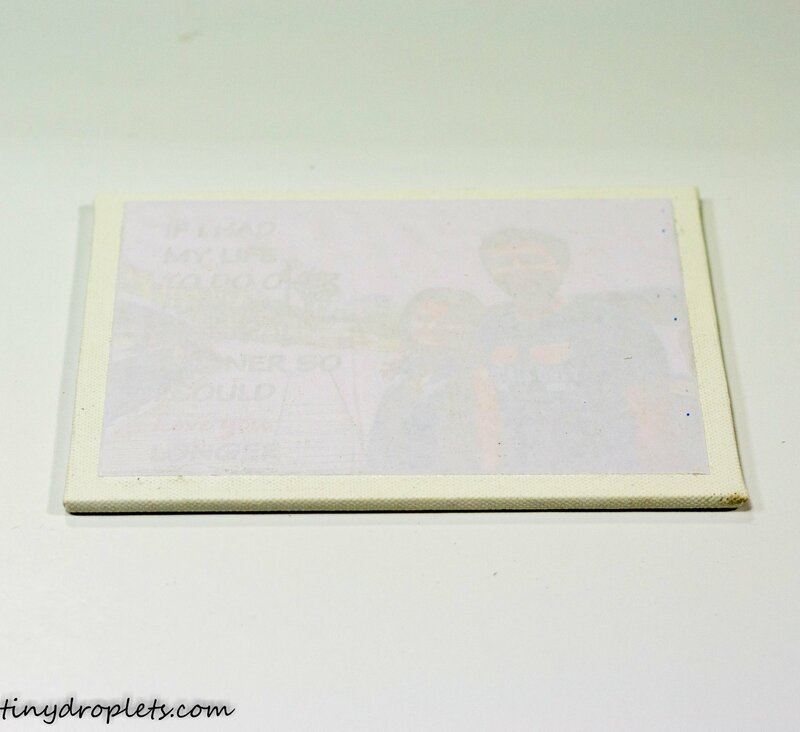 To make this project all that you need is mod podge photo transfer medium, canvas board(I have used a small sized board 5*7 you can use larger boards), photo prints, foam brush. I took a print from an laser printer. Keep in mind to use good printer or else ink will smear and you’ll be disappointed. Be sure to have them reverse (mirror-image) your photo or graphic, especially if it has words or letters. It will come out backward otherwise. Many online websites are available that creates a reverse image for free. I trimmed the photos down to get rid of any white edges as the medium is not transparent. Time to move to next step. The moment you saw the medium over the photo…you think it stupidity…hold on…this is the tricky part. You need to pour mod podge over the print. Its time to get generous. Apply a generous amount of the transfer solution to the image. You’ll need a thick layer.See! It almost disappears against the white background. Once you’ve coated it completely it’s time to apply it to your surface. Press the image, photo side down, onto the canvas board. Make sure to press gently from the center out rub firmly to smooth-en out the image and remove air bubbles. Its time to let the board dry. From here, you must let it sit for 24 hours to cure before removing the paper. Once your wait is over,time to get to work. Dampen a towel and cover the board with, lay it over top of your photo. Leave for approximately 5 minutes. Once the paper is damp comes the fun,Now it’s time to gently rub the paper away from your image being careful not to press too hard and remove part of your image.Rub in a circular motion until all of the paper has been removed.Start rubbing your finger over the paper, almost using your finger like sand paper. The photo print is going to appear to split in half. 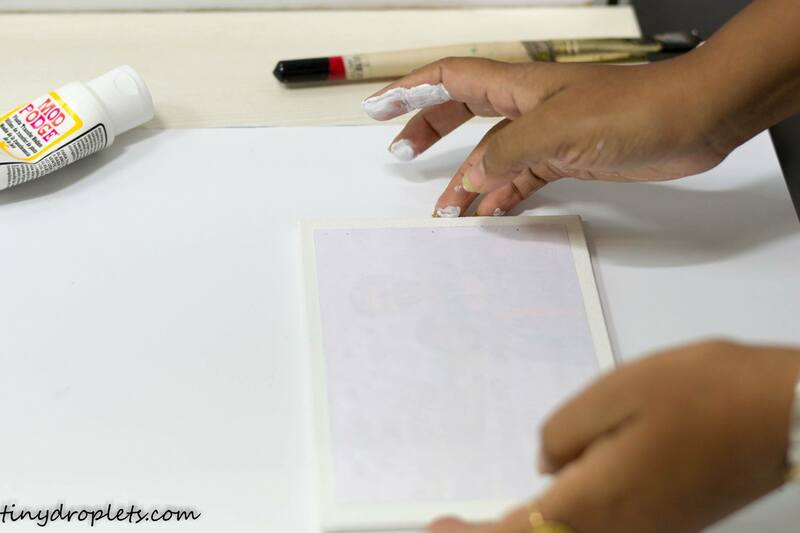 The white part of the paper will start to lift away and the paper with the ink will stick to the canvas board. Take this part very, very slow. If you go to fast the ink will lift away from the wood and you will be left with bare patches. You will see color prints adhering to the canvas and white paper coming out. Once I am sure that I have the first layer of paper off I set the canvas down for a couple of minutes and clean up all of the paper bits. This will give the transfer time to dry. When you look at it you will probably see that there are still places where there is a thin layer of paper left, the image will look cloudy. Wet your fingers and start sanding away again. When you can’t see any white cloudy bits anymore set aside again, clean up a bit while it dries, pick it up again and rub gently for some more time.Let the board dry 5-10 times before you are done done. 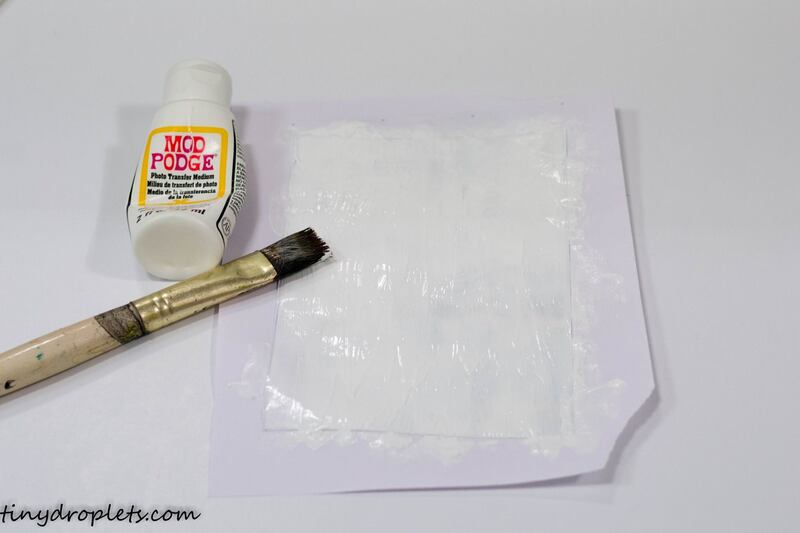 Its good to apply a thin layer of mod podge matte gel, but I haven’t used it in this project.Give this transfer a few tries and I promise you’ll be good to go! 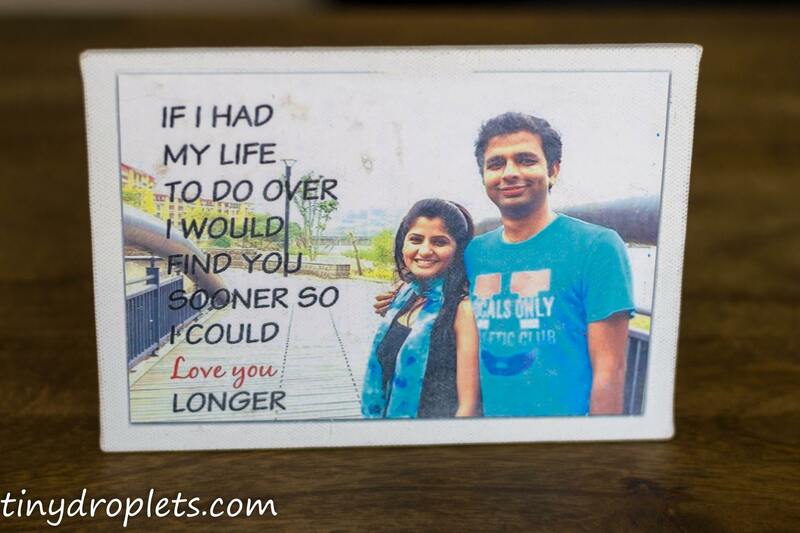 Its a fun project do give it a try.